hood extractor and a new wheel design. The segment hasn’t always been as strong as it is today, especially when federal regulators instituted tough emissions and safety measures, beginning in the 1970s. Entire model lines, such as the Ford Torino, Dodge Charger, and the Buick GNX were canceled. Later, some of the brands that supported such models as the Mercury Cougar, Plymouth Roadrunner, Olds 442, and Pontiac Tempest and Firebird were discontinued. For 2019, the Camaro is refreshed, sporting revised front and rear fascias along with other design changes. Chevrolet added a new infotainment interface and introduced an LE performance package to its base models. Chevrolet offers the 2019 Camaro in LS, LT (1LT, 2LT and 3LT), SS (1SS and 2SS) and ZL1 models. All but the LS are also available as a convertible. The competing Mustang also has a convertible, while the Challenger does not. Prices range from $25,995 to $62,995 for the coupe and $32,495 to $70,695 for the convertible. All prices include the $995 destination charge. Yes, it is entirely possible to load the Camaro with every conceivable amenity and push the final price to $75,000. That may sound crazy, but it is in line with the top prices fetched by its competitors. 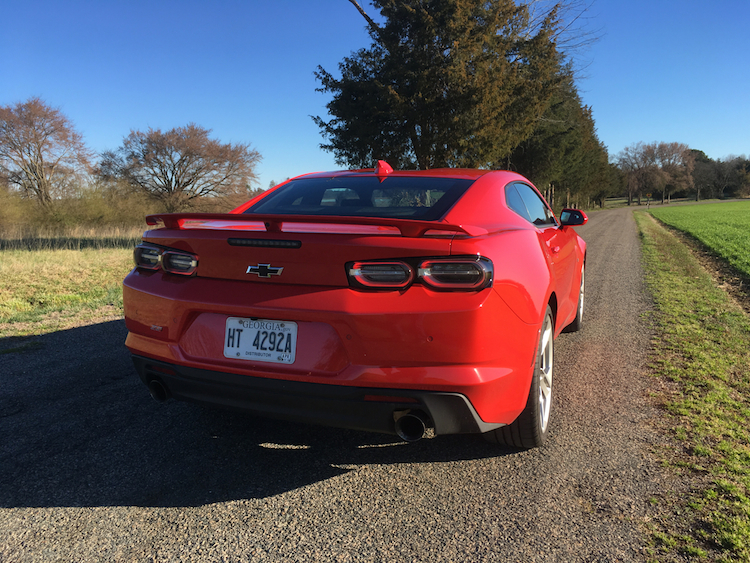 For the third time, Chevrolet sent a 2019 Camaro SS my way, the only Camaro models I’ve ever tested for publication. 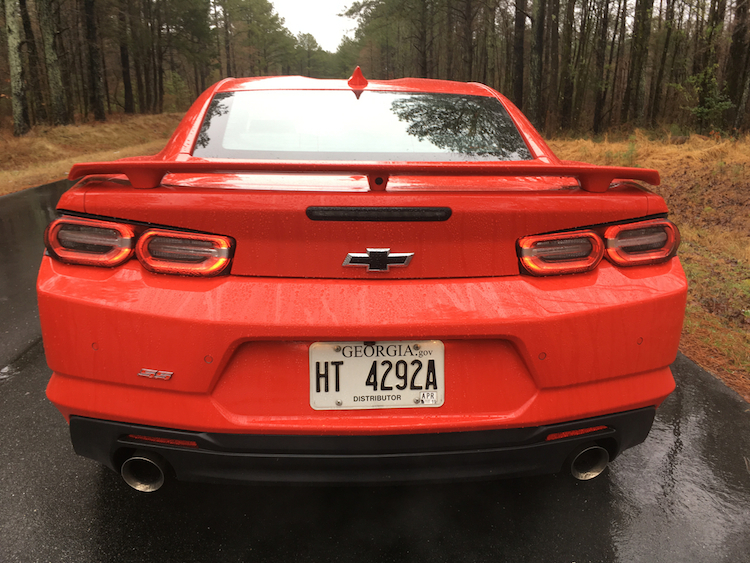 I’ve driven the others, but the SS is the best expression of Camaro performance at least until the ZL1 came along. Before we look at all things SS, the “lesser” Camaro models deserve recognition too. This four-seat rear-wheel-drive model comes with a turbocharged 2.0-liter four-cylinder engine with 275 horsepower and 295 pound-feet of torque. Buyers can upgrade to a naturally aspirated 3.6-liter V6, generating 335 horsepower and 284 pound-feet of torque. Both engines work with either a six-speed TREMEC manual gearbox or to an 8-speed automatic transmission. When equipped with the automatic, the model with the standard engine makes an EPA-estimated 22 mpg in the city and 31 mpg on the highway (20/30 mpg with the manual). Choose the V6 and the fuel economy is 19 mpg in the city and 29 mpg on the highway (16/27 mpg with the automatic). The Camaro SS raises the power quotient significantly with its 6.2-liter V8 engine making 455 horsepower and 455 pound-feet of torque. Chevy pairs this engine with either the manual gearbox or to a 10-speed automatic transmission. My test model came with the automatic and although I prefer the manual, it serves this model well. Your fuel economy here is 16 mpg in the city and 27 mpg on the highway (16/24 mpg with the manual). Certainly, Chevrolet could have left well enough alone and stopped there. But they didn’t. And that’s a good thing. 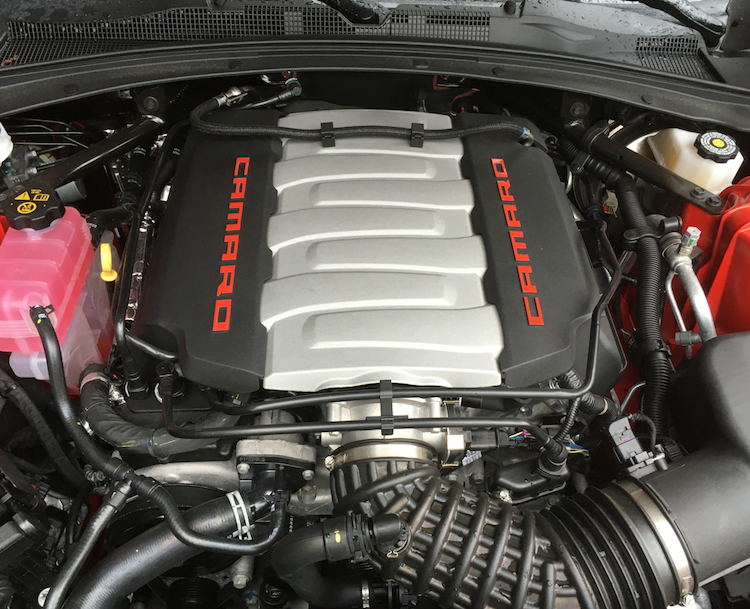 Camaro shoppers can upgrade to a supercharged version of the V8 (with the ZL1) and keep the same transmission pairings. As a result, a significant power boost is achieved, enabling this engine to bang out 650 horsepower and 650 pound-feet of torque. On the negative side, fuel economy takes a hit as it falls to 14 mpg in the city and 20 mpg on the highway (13/21 mpg with the automatic). Furthermore, a federal gas guzzler tax kicks in and it’ll lighten your wallet by $1,700. 1. New exterior styling touches are apparent. Camaro fans will notice the changes at once. Up front, the SS has a new fascia marked by an updated grille, dual-element headlamps, and LED lighting. The extractor-style hood is a fresh design too. From the rear, the fascia features sculpted LED tail lamps with dark-tinted neutral-density (transparent) lenses. As for the wheels, you’ll find a new 20-inch design. 2. 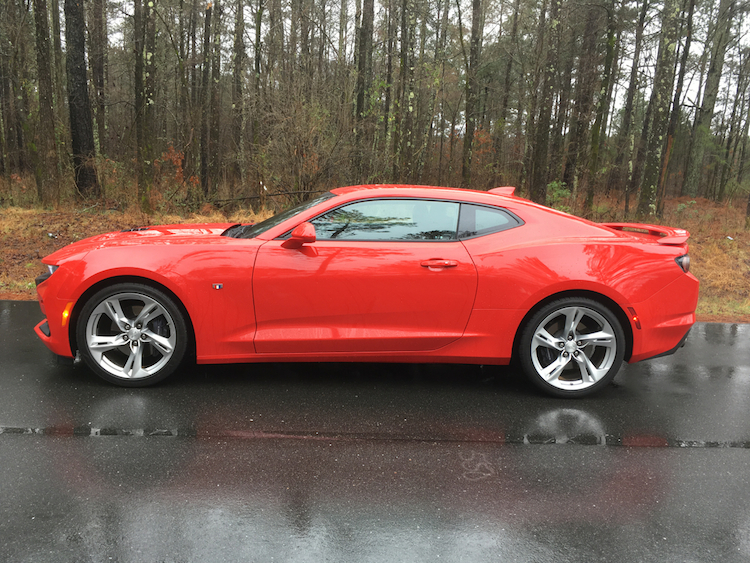 The ZL1’s automatic transmission is here. 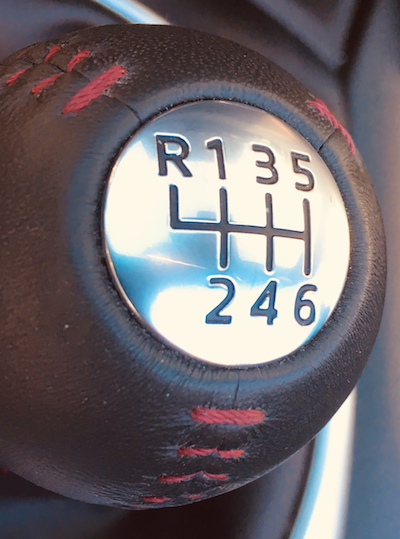 Most Camaro SS enthusiasts love the 6-speed manual gearbox, a signature performance piece in any muscle car. That said, a manual isn’t for everyone and that’s where an automatic transmission with paddle shifters comes in. 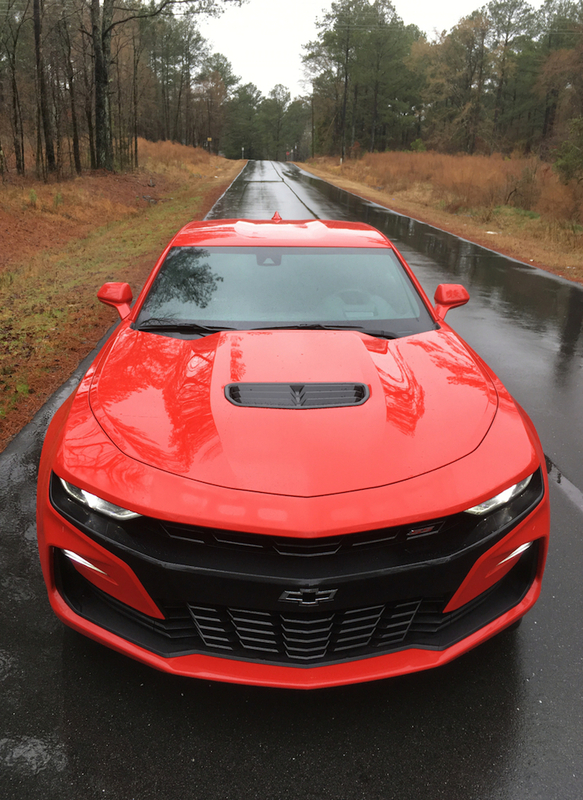 For 2019, the SS gains a 10-speed automatic transmission, courtesy of the ZL1 trim, which already had this unit. 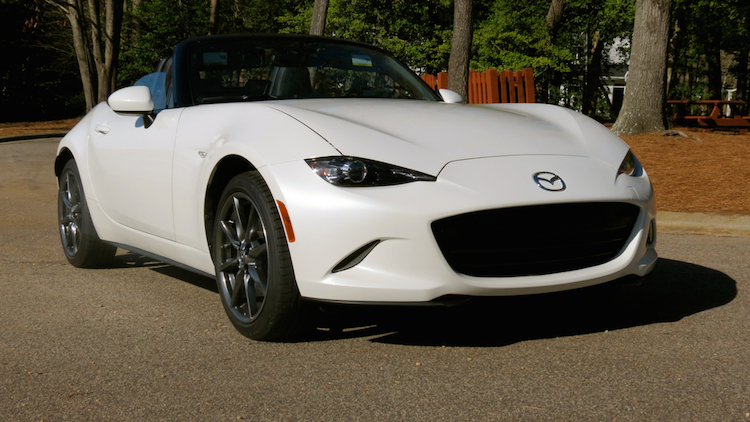 The two extra gears suit this sports car just fine. We’ll explore this point when we drill down on our driving impressions. 3. 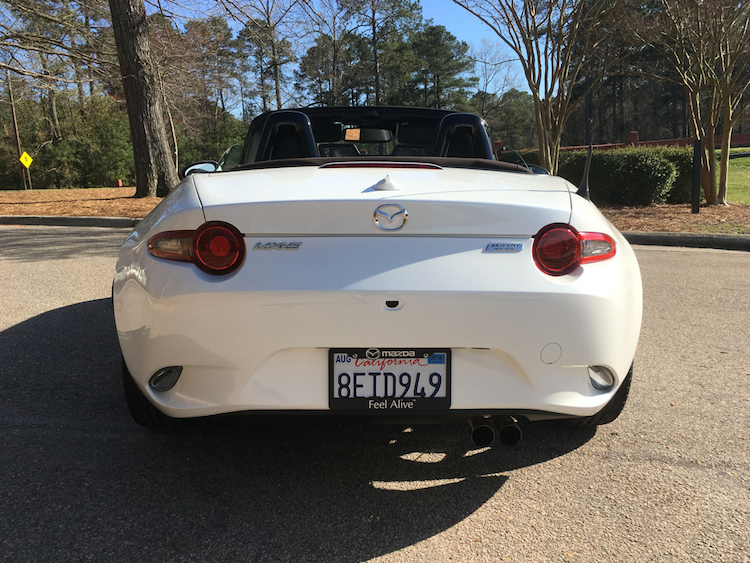 You can take it to the track. Choose the available SS 1LE Track Performance Package ($7,000) and you’ll cut corners with precision. The package includes Satin Black design elements — front splitter, hood wrap, and rear blade spoiler. You’ll also find 20-inch Satin Graphite forged aluminum wheels wrapped within Goodyear Eagle F1 SuperCar tires. A performance-tuned suspension, magnetic ride control, an electronic limited-slip differential, Brembo front and rear performance antilock brakes, and dual-mode exhaust are included. Inside, front Recaro bucket seats, sueded steering wheel and shift knob cover, and a head-up display round-out this package. 4. You’ll find standard driver-assist features on the 2SS. You have to opt for the Camaro 2SS to enjoy certain safety features not offered with the 1SS. These include rear park assist, rear cross-traffic alert, side blind zone alert with lane change alert and forward collision alert (coupe only). All models have a rear-vision camera; the 2SS has a rear camera mirror. There are cars and then there are driver’s cars. The Camaro fits the latter category sublimely, especially in SS guise and above. 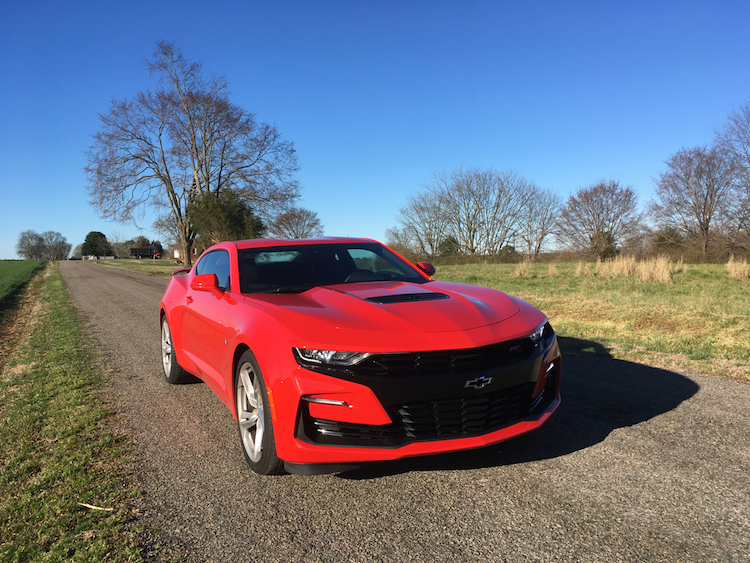 This is no slap against the turbo and V6 models, rather it is a strong affirmation of what Chevrolet brings to the table with its sports coupe. And the table is set with a performance coupe that’s second to none. My test model had the standard V8 engine paired with the automatic transmission. I could have groused, given that the smooth-shifting manual wasn’t presented. But its omission gave me the opportunity to evaluate the new powertrain pairing. In fact, the current transmission acquitted itself beautifully. On ignition, the engine rumbled and sent out a moderate bellow through its two exhaust tips. Move through the drive modes (tour, sport, and track) and the clamor increases. 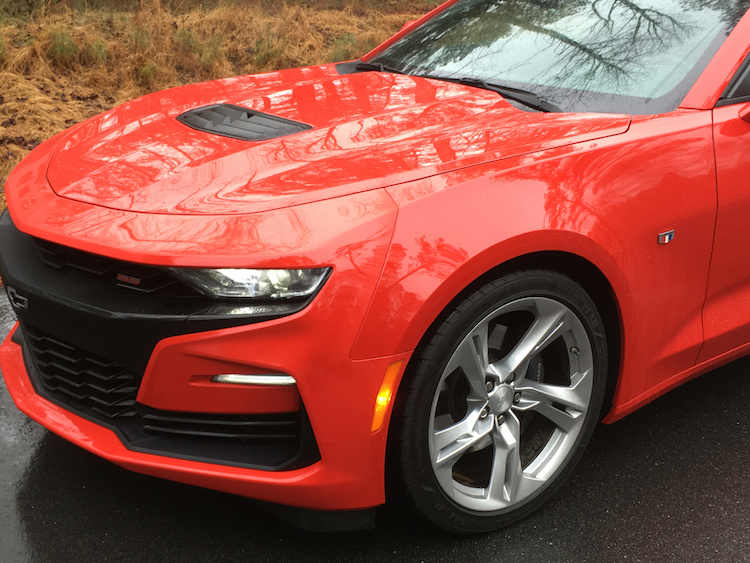 The same can be said for the weight of the steering wheel and the suspension system — the Camaro SS simply becomes a more potent machine with its advanced settings selected. Move away from a dead stop and the SS immediately shows what it’s made of. The engine responds with copious amounts of power and keeps delivering as it quickly moves the Camaro forward. 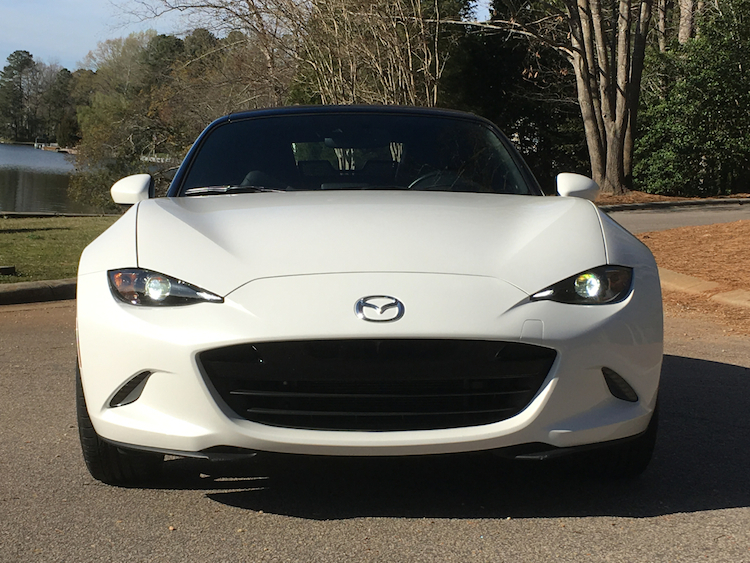 At wide-open throttle, the burly V8 roars and sends this sports coupe rocketing down the road. On the straightaway, the SS is right at home. On twisty back roads, it is nimble and compliant. The steering wheel felt fantastic in my hands— it is as accurate as it is agile. The Camaro dives into corners with confidence and leaves them with ease. Its big tires, rapidly adjusting suspension system, and limited-slip differential join forces to keep this vehicle planted. There are also a few fun features of note with this Camaro. For instance, the lift-foot gear-hold mode. Here, if you’re navigation twist roads, simply tap the gas pedal and the transmission stays in gear. The transmission will immediately drop to third gear and hold it while taking your tight turn. It’ll upshift just as you finish your final corner and head straight down the road with the full force of the engine powered up. The other fun feature is launch control and line lock. Here, you get to optimize your 0-60 mph time, which should come in around four seconds. If performance is high on your list, then the SS is where you’ll begin your Camaro search. The good news is that 1SS coupe begins at $37,995; the convertible clocks in at $43,995. The packages are relatively light on the 1SS, but much more thorough beginning with the 2SS. Consider the supercharged V8 and your starting price comes in at $64,695 for the coupe and $70,695 for the convertible. Both are ZL1 models, which means you get everything from the SS trims and add in every available embellishment. We recommend the 2SS trim as it brings in such features as illuminated kick plates, heated and ventilated leather-trimmed front seats with power control, a heated steering wheel, a head-up display, dual-zone climate control, a Bose audio package, and driver-assist technologies. Even without a single upgrade, your price is $42,995. Consider a few performance and appearance upgrades and your final price should come in around $45,000.